Congratulations to "Laura S.", the winner in Kat's giveaway. Thank you to all who participated! One lucky person leaving a comment or email entry will receive a copy of INTO THE FURY – Paperback, Nook or Kindle, reader's choice. Fearful for the lives of their models and their overall well-being, show producers high Ethan Brodie and the BOSS Inc. to help protect the women. One such women is family friend, Valentine Hart and despite her beauty and personality is strictly off-limits both in the bedroom and Ethan's heart. When the madmen decides to move up from threats to action, the adventure really begins as Brodie and the BOSS Inc. team must utilize brain and brawn to figure out who's next and how to stop him from brutalizing the women they have come to care for. Grab your copy today and get ready to dive into a high-octane thriller featuring one bossy badass alpha male, a sweet heroine who's more than just a pretty face and plenty of smokin' hot action in and off the sheets. 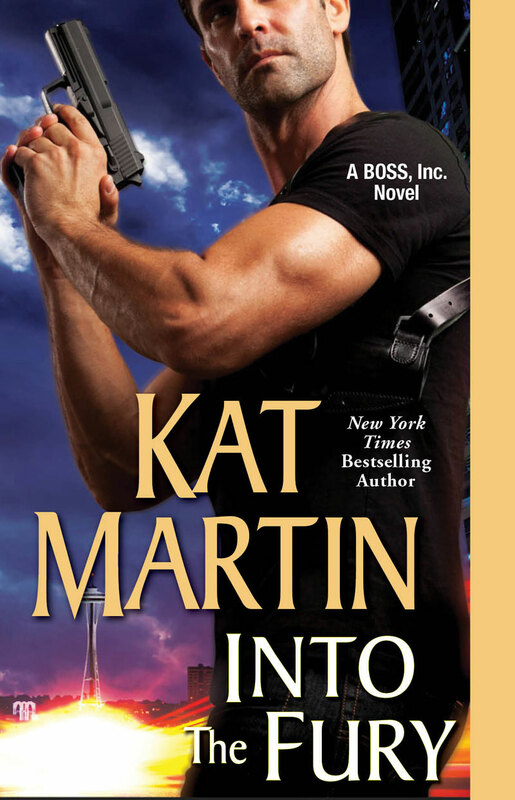 Into the Fury pulled me into its storyline from the very beginning and I loved figuring out the clues right along with Val and Ethan. These two characters seemed as though they wouldn’t work well together but they did on so many levels. Ethan had sworn off women until he laid his eyes on Val, who was a model for the company that he was providing security for. She wasn’t the typical blonde model and I absolutely loved that about her. She was smart, strong and just wanted to make enough money so she could finish her education. Ethan was the perfect match for her and I wish there were more guys like Ethan in the world. Giveaway ends 11:59pm EST Feb. 19th. Please supply your email in the post. You may use spaces or full text for security. (ex. jsmith at gmail dot com) If you do not wish to supply your email, or have trouble posting, please email maureen@justromanticsuspense.com with a subject title of JRS GIVEAWAY to be entered in the current giveaway. US residents only. Looks like a series I need to read. I have this book on my want list!